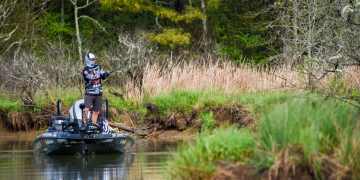 At the end of four rounds of competition in the Major League Fishing® (MLF) Bass Pro Tour Stage Four, we’re all done asking “Just how good is Lake Chickamauga?” The answer is best expressed in numbers: 105-6; 11 over 80; 748; 1,400. 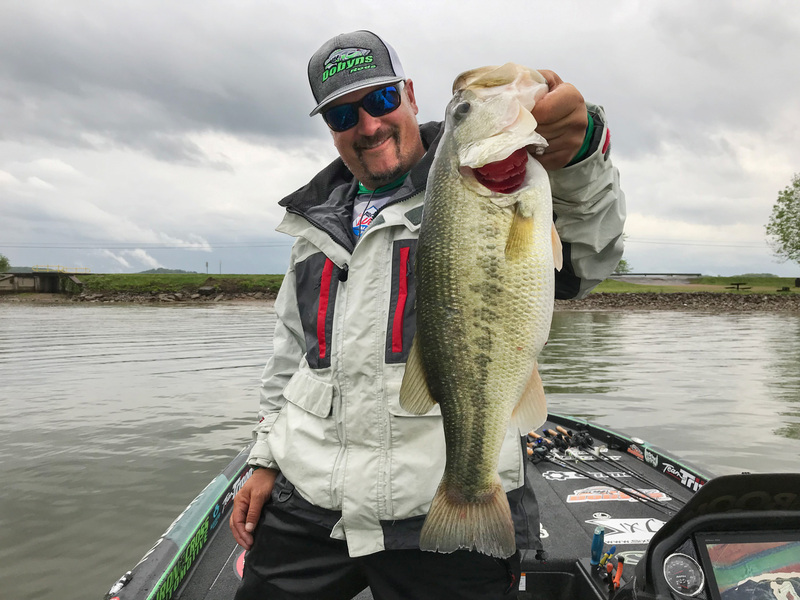 Local pro Andy Morgan was matter-of-fact about his 31-pound performance in the Shotgun Round, brought him into competition on Friday in 21st place (“Middle-of-the-road at best,” Morgan said). 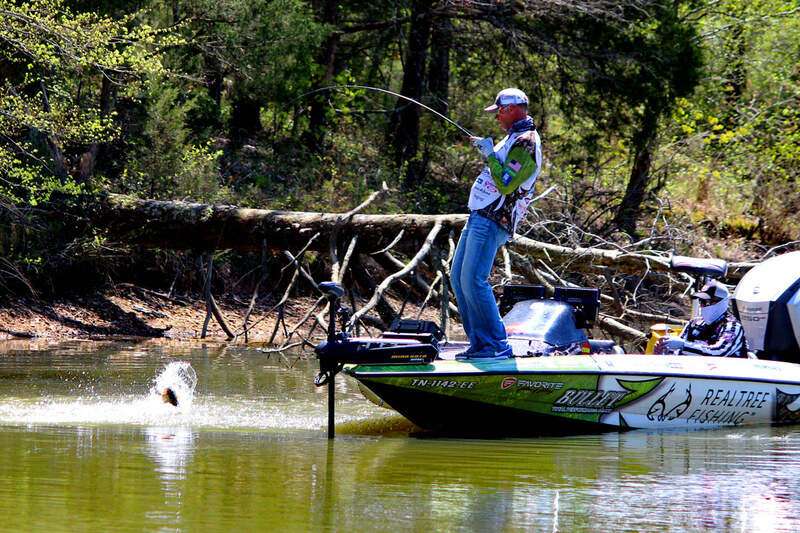 But Morgan was one of the anglers who got busy early on Chickamauga, putting 18 fish on SCORETRACKER™ for 47-14 in the first two periods and finishing with 56-13 to bring his two-day total to 88-5.